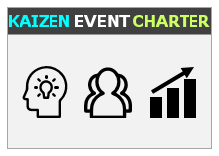 This templates is designed to enable team members to explore the Kaizen event and commit to support. It serves as a communication tool that helps the team stay on track with the goal, scope and schedule. 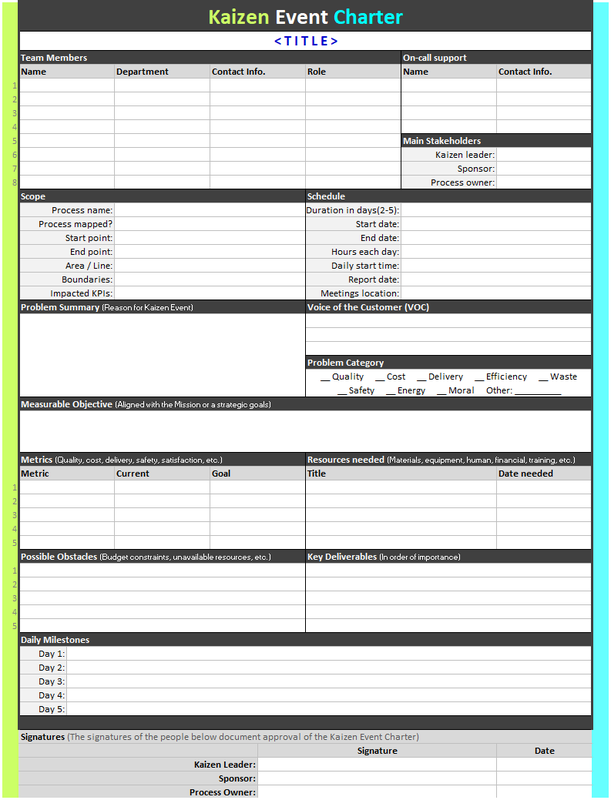 It is a Microsoft Excel document that you can use and modify to suit your specific needs. It can easily be modified to include additional sections if needed. Please help us to make this template better by providing us with your comments or suggestions.